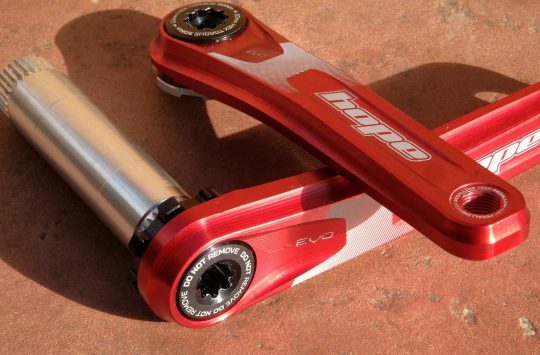 Hope’s Tech lever gets more adjustability over the lighter Race lever. The E4 calliper features four x 16mm diameter pistons inside. This category is one that could have easily been relabelled as ‘Blingiest Brake’. And really, when you’re talking about well-engineered components that are also beautiful to look at, you’d be hard pressed to go past the king of bling, Hope Technology. 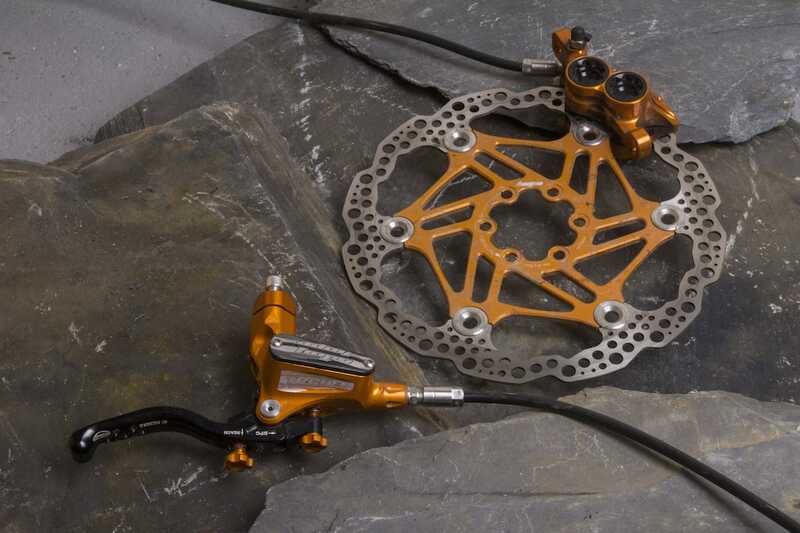 Hope has been making disc brakes for as long as most of us can remember. Some of them have been brilliant, and others… have been less so. 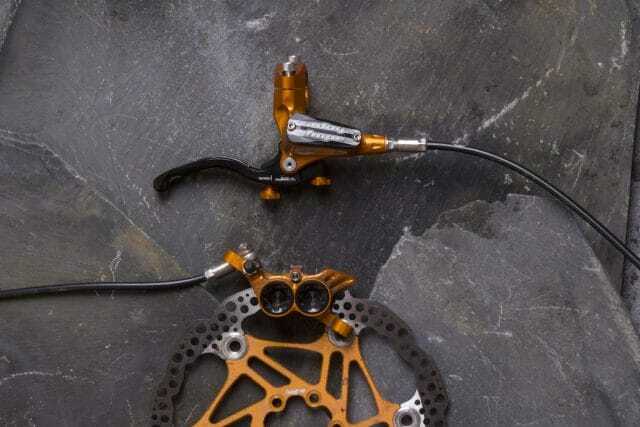 But with over two decades of hydraulics experience, Hope has since honed in on several key designs to offer four disc brake models that are well known for their classy construction and reliable performance. There are two calliper options: the X2 and the E4, with the number referring to the number of pistons. Likewise, the lever can be had in a stripped-back version called the Race, or in the chunkier Tech lever. And because all of Hope’s brakes use the same fittings, you can mix ’n’ match levers and callipers to your heart’s content. Want bling? It doesn’t get much prettier than this. The two adjustment dials are a pleasure to use. The brakes we’ve been testing are the Tech 3 E4 brakes, and they’re claimed to be suitable for trail, enduro and downhill use. Aesthetically, it doesn’t get much prettier than these. Made from 2014 T6 alloy that’s been CNC machined in Hope’s Barnoldswick factory, the Tech 3 E4 brakes are available in no less than six anodised colours. There are also options to customise the look with different coloured adjusters, reservoir top caps, and two-piece rotors, making these brakes the envy of all cycling magpies. The callipers are machined from a single block of alloy for stiffness, and are packed with 4×16mm diameter phenolic pistons per end, with DOT 5.1 fluid filling the lines. The stock pads are sintered metallic, and they’re also top loading with a wide profile for added friction. At the lever end, a split clamp allows for easy fitment, and we’ve found the Tech lever to play well with most shifters and dropper post levers. Hope offers direct mount brackets as an optional accessory for bolting a Shimano or SRAM shifter directly to the brake clamp. The bulbous tip means these aren’t as comfortable as other lever blades though. The two adjuster knobs are also made from machined alloy, and have positive detents as you wind them in. Unlike other brakes out there, each adjuster knob offers useful adjustment, so you can fine-tune both lever reach and bite point. The adjuster knobs are potentially more vulnerable on the outside face of the lever, but they’re replaceable if you do bust them off in a crash. Lever ergonomics are pretty good, if a little industrial. The machined surface and dimpled blade are dead lovely, but we’d like to see a more pronounced hook rather than the rounded bulb tip. The levers are also quite strongly sprung, so your fingers meet with some resistance as they engage the lever. 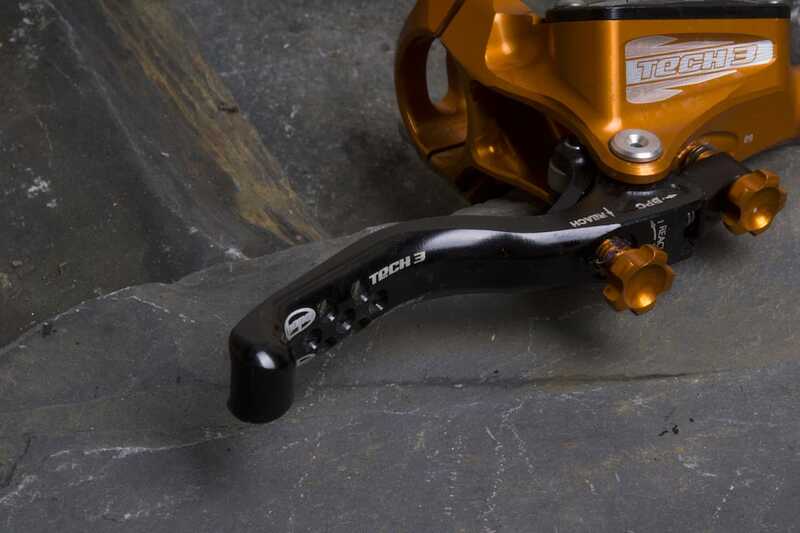 In use, the performance of the Tech 3 E4 brakes is much more unassuming than the looks. 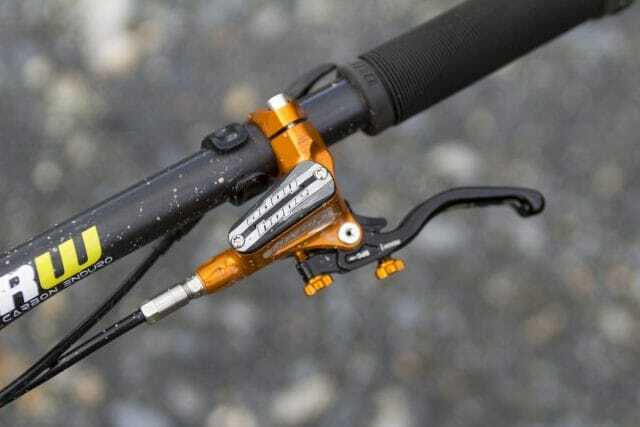 Braking power is sufficient, but not as eye-watering as the Trickstuff or the Magura. The power curve itself is gently progressive, so if you need to throw the anchor down quick, you’ll have to go searching further into the lever stroke to get that stopping force. 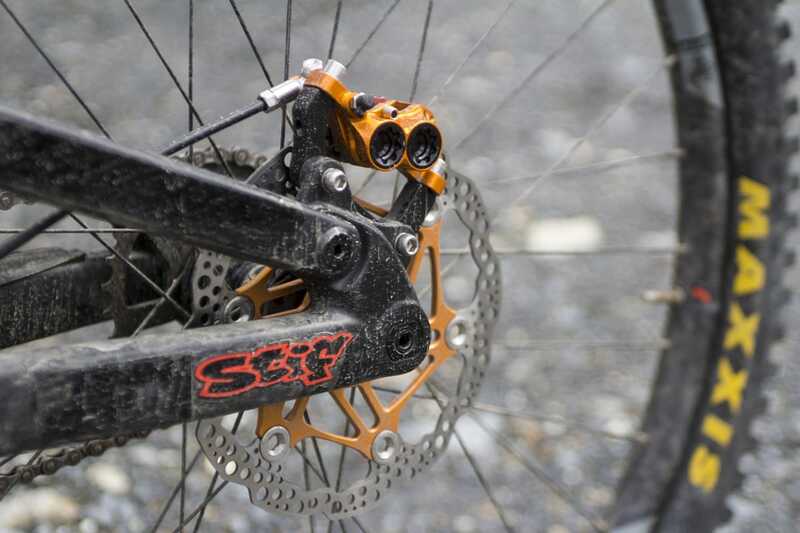 Power-hungry riders searching for that ‘on/off’ feel will be disappointed, and if you’re frequenting alpine terrain with longer descents we’d recommend upping to 200mm rotors to increase bite. The four-piston callipers aren’t the most powerful around. However, it’s the Hope’s ability to modulate and control the power that we found to be its greatest strength. There’s a noticeable bite point as you pull the lever, but you’re not met with a sudden lurch as the pads engage. Instead, there’s a useful amount of lever travel in this modulating ‘sweet spot’, where you can comfortably add or decrease brake force without fear of accidental tyre lock. Panic braking was certainly never a big deal with these. They’re also highly consistent brakes, with minimal fade coming from the stock pads even when we got them cooking nice and hot. Save for a fluttering sound under hot and fast braking, they’re also relatively quiet, and the stock brake pads last really well even in wet and grimy conditions. 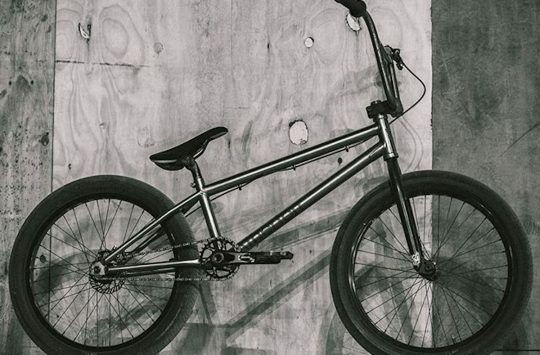 So while they may not have the brute stopping force that other brakes have, they’re sure to remain predictable from the top to the bottom of long and fast descents. For modulation, feel and consistency though, the Tech 3 E4 brakes are hard to beat. A beautifully machined set of brakes that provide consistent and reliable performance. 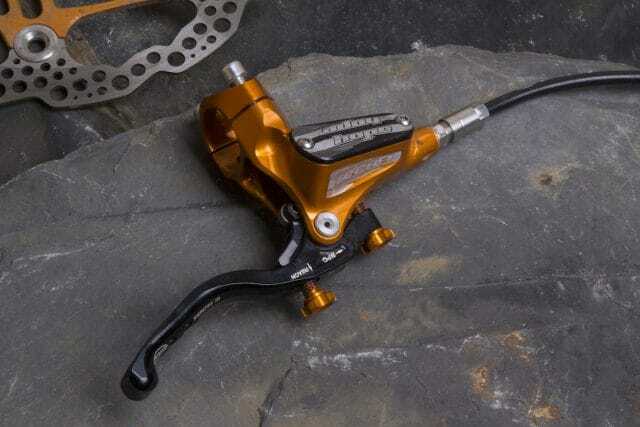 There are more powerful brakes out there, but thanks to the quality finish and impressive modulation, the Hope Tech 3 E4 brakes take the mantle as the Best Engineered brake of the lot. I don’t understand what you mean by best engineered? 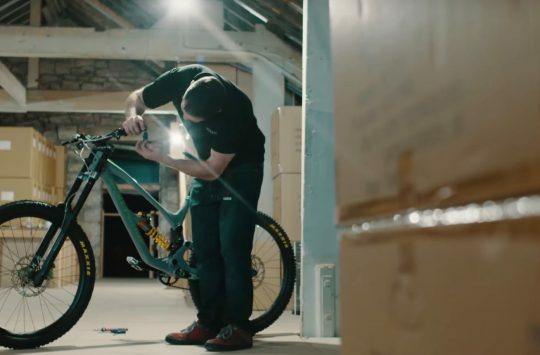 @docgeoffyjones – I think Big-Bud has already answered your question there, but just to reiterate, it’s a combination of factors including the brake’s manufacturing quality, its finish, reliability, durability, adjustability and aesthetics. C- see me after class. @singletrackwil so why are they not best in test? I would think best in test would also be the best engineered, as it is would have the right balance of all the factors such as peformance, cost, durability etc. 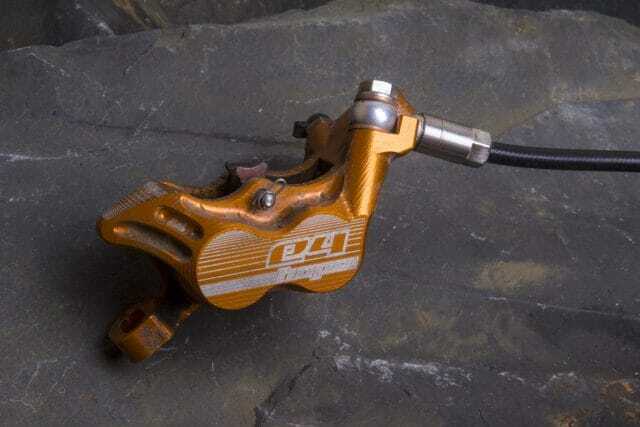 What about the V4 calliper? I rate lack of heat fade as high priority in brakes. I replaced the SRAM Guide R brakes that came with my bike with Hope Tech E4s because the fade on the SRAMs was appalling. I realise the two models are in different leagues, but I’ve run plenty of Hope brakes on previous bikes and never been disappointed with the engineering; their durability and serviceability is hard to beat.